You find yourself asking, "Where is there a new Lincoln dealer near me in West Palm Beach, FL, that also offers pre-owned vehicles?" The answer is Al Packer Lincoln, also serving Palm Beach Gardens and Royal Palm Beach. With a diverse inventory of more than 150 Lincoln models, as well as our used and certified pre-owned vehicle selection, we guarantee a vehicle match that integrates with your lifestyle at a price that remains within your preferred budget. With guidance from our Finance Center team, you'll be able to make informed decisions about your vehicle finance or lease options, while their deep relationships with local and national loan networks give them access to low interest rates for you. After you buy, our Service Center is available with flexible hours and highly trained technicians who are constantly educating themselves on the ever-changing luxury standards of Lincoln. Conveniently located in the heart of bustling West Palm Beach, Al Packer Lincoln has cemented itself as a proud member of the local business community, with a loyal base of satisfied customers. With rotating inventory and service specials, as well as accommodating payment plans from our Finance Center, we create an effortless auto-buying experience for every one of our prospective buyers. Visit our location at 1550 N Military Trail in West Palm Beach, FL, or schedule a test drive by calling our New Sales line at 877-469-6063. If you're searching for a new Lincoln model to call your own, explore the inventory at Al Packer Lincoln in West Palm Beach, FL - serving Palm Beach Gardens and Royal Palm Beach - so we can help you find your match. The classic Lincoln Continental and Lincoln MKZ offer ideal versatility and function for sedan drivers, each boasting powerful performance components and modern design integrations. The remainder of our lineup includes the Lincoln MKC, Lincoln MKX, Lincoln MKT, and Lincoln Navigator, which are ideal models for customers who are looking for more cargo space and durability. 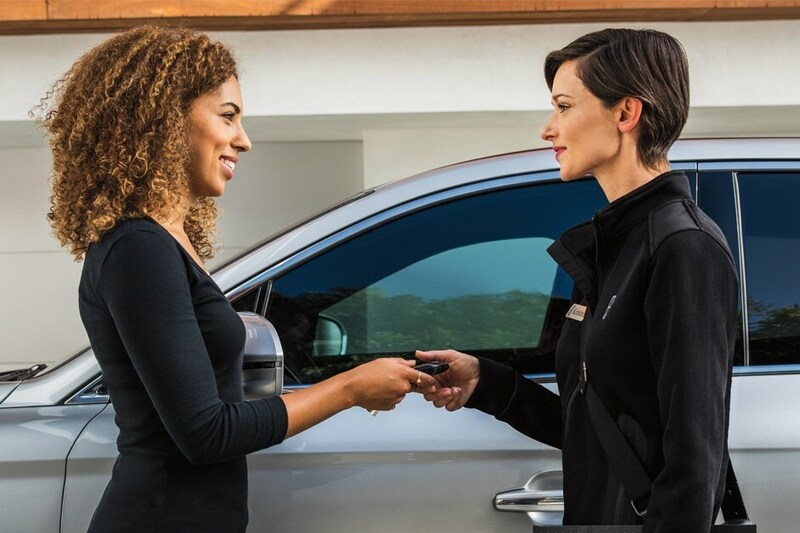 To make our new Lincoln model accessible for all customers, we offer specialized financing for all credit tiers, and our rotating offers give our customers access to a lucrative roster of deals and incentives. Our lineup of Certified Pre-Owned vehicles is ideal for customers who are interested in the reliability and low mileage of the latest models, but aren't looking to buy new. When you purchase a certified pre-owned vehicle from Al Packer Lincoln, you're also buying our promise that each of our certified pre-owned models is reliable, safe, and valuable. Only after passing a rigorous series of standards and safety testing are our certified pre-owned Lincolns labeled as such, that way we can assure customers of their quality and driving history. Along with the quality guarantee that comes with each certified pre-owned model, we offer the full vehicle history for each car, along with its original window sticker for added transparency. With flexible vehicle pricing, our Finance Department can help you achieve the coveted new car feel with a payment plan that's easy on your finances. Al Packer Lincoln's used car inventory in West Palm Beach, FL - serving Palm Beach Gardens and Royal Palm Beach - features a diverse inventory of pre-owned Lincoln and sedans, SUVs, and trucks from other familiar and reliable vehicle brands. With several priced below $10,000, we're able to offer low-cost alternatives with payment plans that fit any budget. Schedule your pre-owned vehicle test drive today. To get you behind the wheel of your new Lincoln model, we trust only the experts when staffing our Finance Center. With diverse backgrounds and relationships with local and national lenders, each member of our team is able to work with customers on a case-by-case basis with the ultimate goal of procuring flexible auto financing or lease contracts that have the lowest possible interest rates. Before you begin the process in-person, we invite you to explore our online finance tools, like our Credit Score Estimator and Credit Application, so you can assess your credit health. No matter your score, we work tirelessly to see each of our customers drive off in their vehicle of choice, with a budget-friendly payment plan to match. For impeccable Lincoln service and repairs and Genuine Lincoln parts in West Palm Beach, FL - serving Palm Beach Gardens and Royal Palm Beach - visit the Service Department at Al Packer Lincoln. So your vehicle can remain on the road for as long as possible, trust our highly trained auto technicians take care of regular maintenance services like oil and filter changes, battery and brake inspections, and any regular diagnostics checks it requires. From our in-person and online inventory, customers can select from our selection of genuine Lincoln parts and accessories, which we'll happily install for you. For at-home repairs, our system of online ordering offers a convenient and efficient way to have your vehicle parts delivered to your door. At Al Packer Lincoln, we're committed to not only helping you find your vehicle match, but to developing a relationship with our customers through continued attention from our Service Department and honest vehicle selling through our Sales and Finance Centers. To begin your experience with Al Packer Lincoln, schedule a test drive by calling our New Sales line at 877-469-6063, or visit our location at 1550 N Military Trail, in West Palm Beach, FL.